As reported in previous posts, on February 2013 the Atlanta Regional Commission approved study funds for the Medline Livable Centers Intiative. 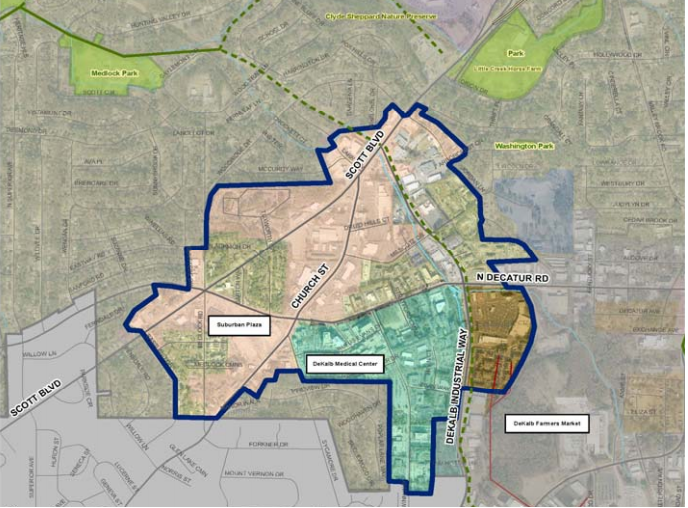 Encompassing ~520 acres around DeKalb Industrial Way, Church Street, Scott Boulevard / Lawrenceville Highway and North Decatur Road, the study area is "extremely under developed and ripe for infill and redevelopment as a mixed‐use center serving walkable and transit oriented neighborhoods." 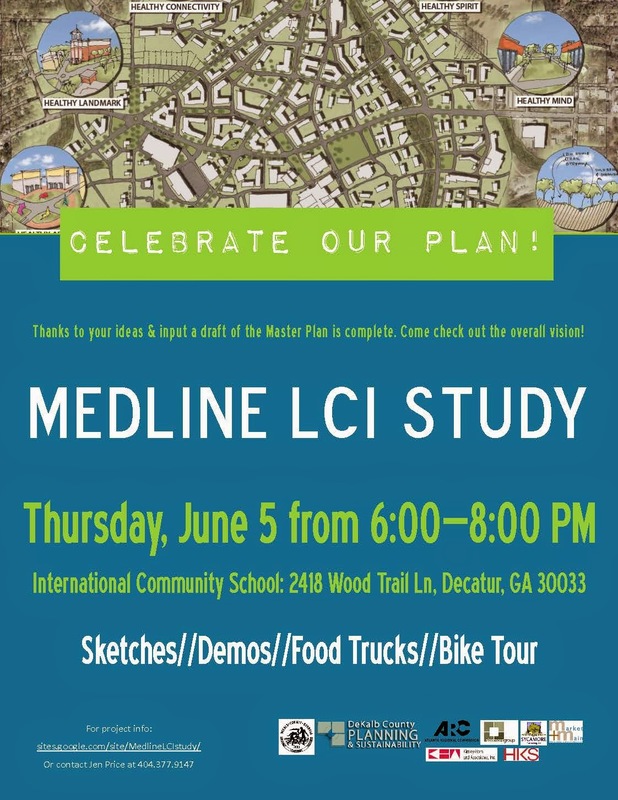 Per the Medline LCI website, "This project will result in a master plan that brings various stakeholders together to form a unified vision for the ultimate enhancement of the Medline area. The plan will include a short-term work plan, providing a collaborative approach to guide next steps toward implementation. ... The master plan will recommend a variety projects, and some of these may be implemented within a year or two of plan completion. Other projects that require detailed engineering and significant funding will take longer to implement." The study process began early this year with a survey and a series of meetings with property owners, residents and businesses, with the goal of determining how to improve transportation and quality of life for all who live, work and spend time in this area. The June 5 meeting offers yet another opportunity to provide feedback, in particular for those who have not been able to participate in other meetings. The study group's written report will be available online soon. For additional information, presentation slides from all meetings and a comprehensive listing of the professionals involved in this project, visit the Medline LCI site. The FAQ page is a particularly good starting point for those who are just learning about the Medline LCI. 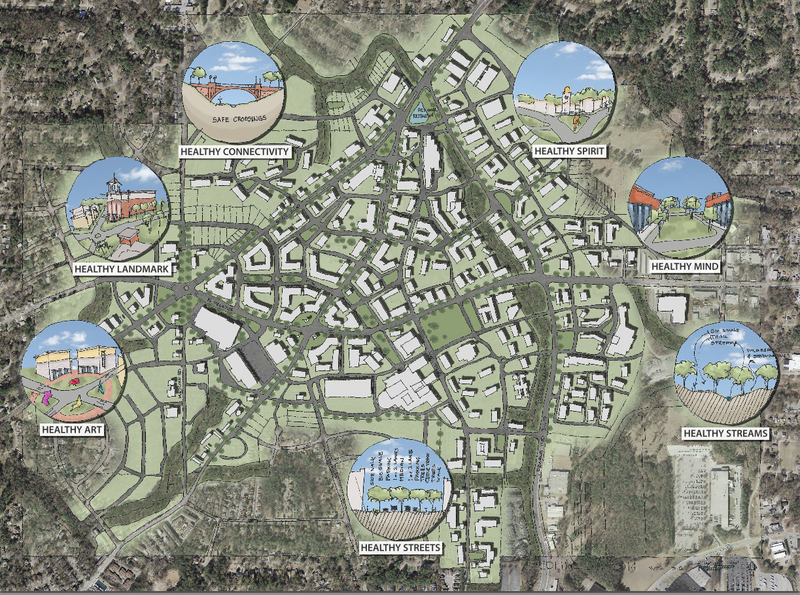 Proposed master plan "cartoon." Please attend the June 6 meeting for more details. Click to enlarge.